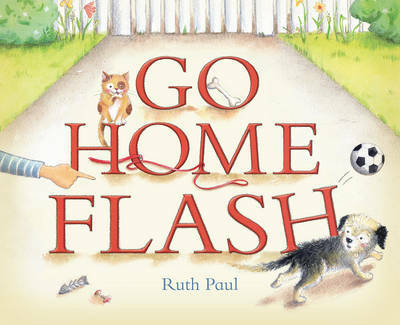 Follows the adventures of mischievous dog Flash who escapes from home and gets up to all sorts of antics, chasing cats, sneaking into cars, rolling in rubbish. Simple rhyming scheme. Ruth Paul is the author and illustrator of Stomp!, The Animal Undie Ball, The Little White Lie, The King's Bubbles, Superpotamus, Two Little Pirates and Bad Dog Flash. Stomp! was a finalist at the NZ Post Children's Book Awards 2012, and The King's Bubbles won both Children's Choice and Picture Book categories at the NZ Post Children's Book Awards 2008, as well as the Children's Book category at the BPANZ Book Design Awards in the same year. Ruth lives in Wellington where she and her family reside in an environmentally friendly house, with straw-bale walls and water-generated power.